We’ve taken the boring look of the average clutch and transformed it from being a camouflaged part of your hardware, to an artistic piece of your kit. Each piece is unique with its own character. 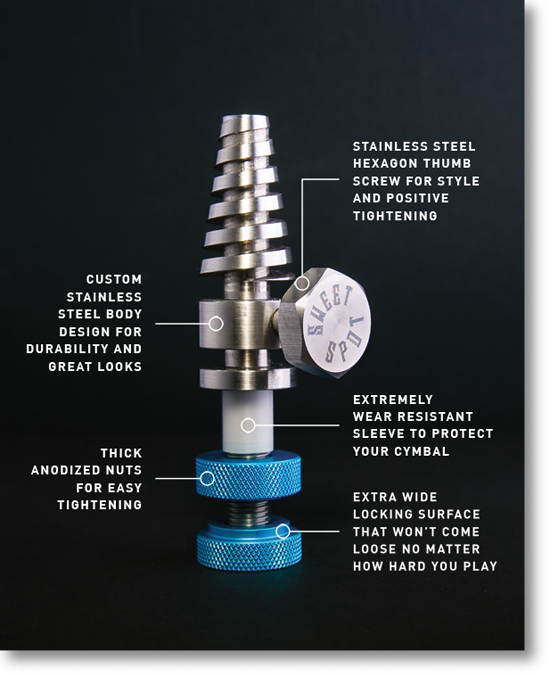 It is our guarantee that you will get looks from other players when they notice that cool piece of stainless steel art gripping your cymbal.